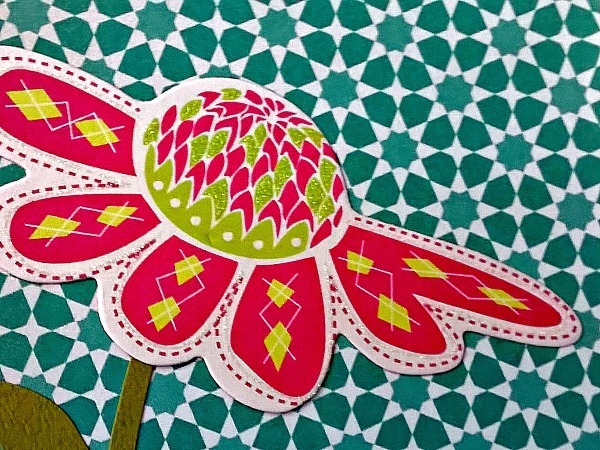 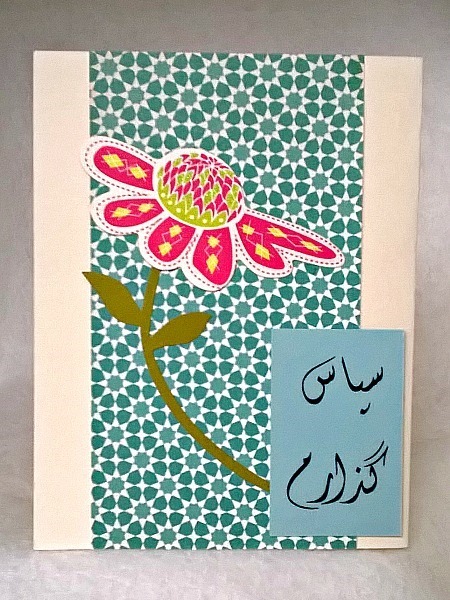 This Farsi Sepas Gozaram card is very cheery....with its very beautiful paper and its glittered flower! 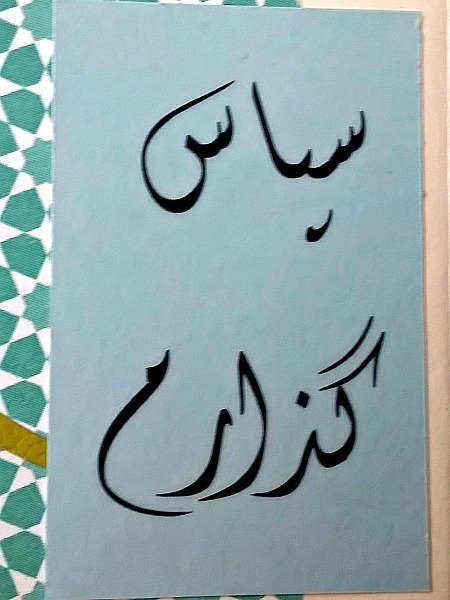 The words, which are perfect to send as a thank you to a Persian friend, were written on vellum and added to light blue cardstock. 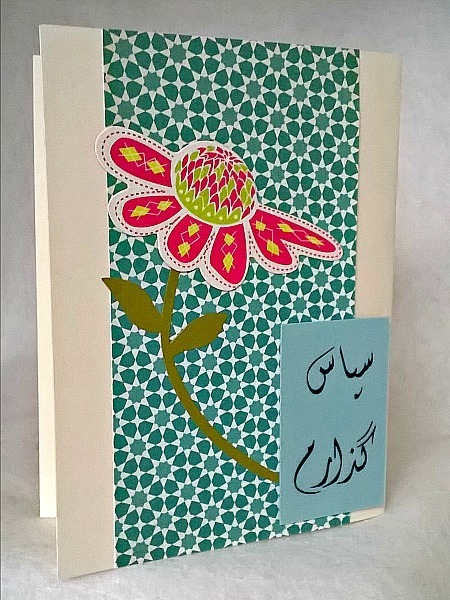 They have been attached in the lower right corer, but the card is blank inside to add your own sentiment.